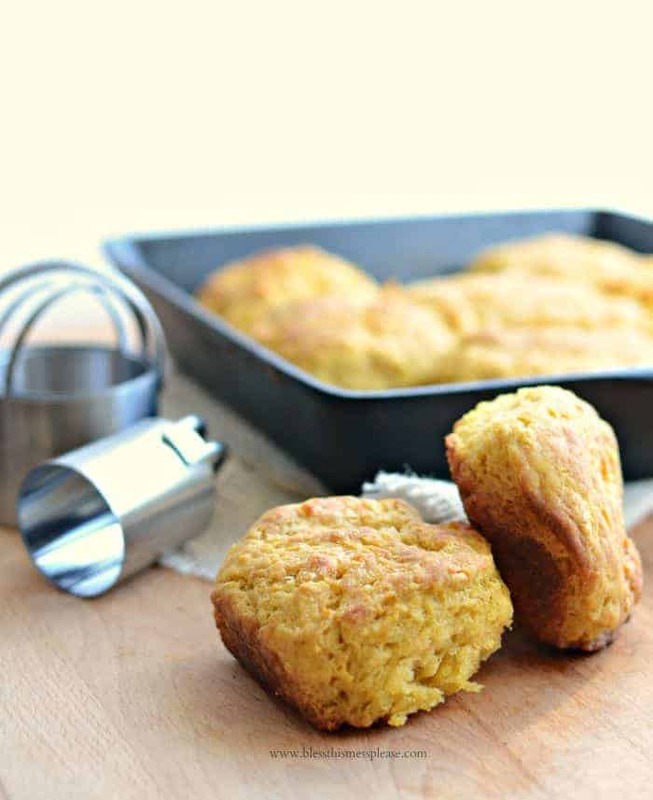 Pumpkin Skillet Biscuits are heading your way, friends, and I so hope you take a minute to make them this week (they take 10 minutes to whip together!). Seriously, adding a little pumpkin to your meals in all kinds of fun ways just makes you feel like you are winning at life. Homemade whole wheat pumpkin waffles (super old post but I still love and use this recipe) have been gracing my table this week, I threw some pumpkin in my pot of homemade chili this weekend and you couldn’t even tell it was there (it did give it a nice texture and a little hint of sweet), and pumpkin in biscuits is just meant to be. 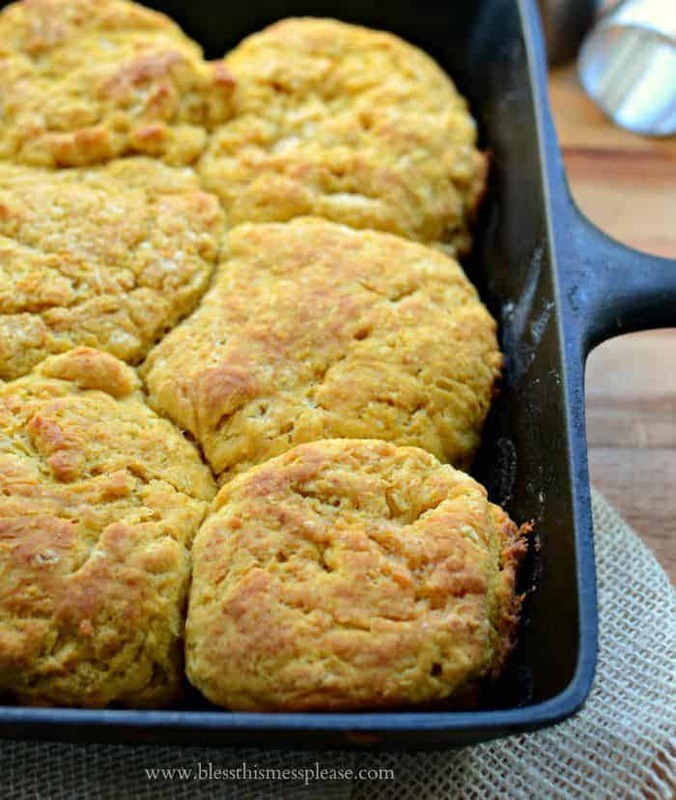 Just think of these as the fall version of sweet potato biscuits. Fall baking perfection! I grew a bunch of little sugar pumpkins this fall and have loved throwing a few in the crock pot to cook and use (full instructions on how to cook pumpkin in a slow cooker here). I’ve been keeping a jar of pumpkin purée in the fridge and using it whenever I find a place. I love pumpkin because it’s sweet, full of fiber, and a pretty easy vegetable to hide or incorporate into everyday dishes. Plus the color! These light orange biscuits were just pretty. I love cooking biscuits in a skillet. You add a little butter to the skillet before baking, and it makes the bottom of the biscuits brown and crispy. The bottom is my very favorite part. No worries though, if you don’t have a skillet to bake in, I added directions on how to make a traditional cut biscuit too. 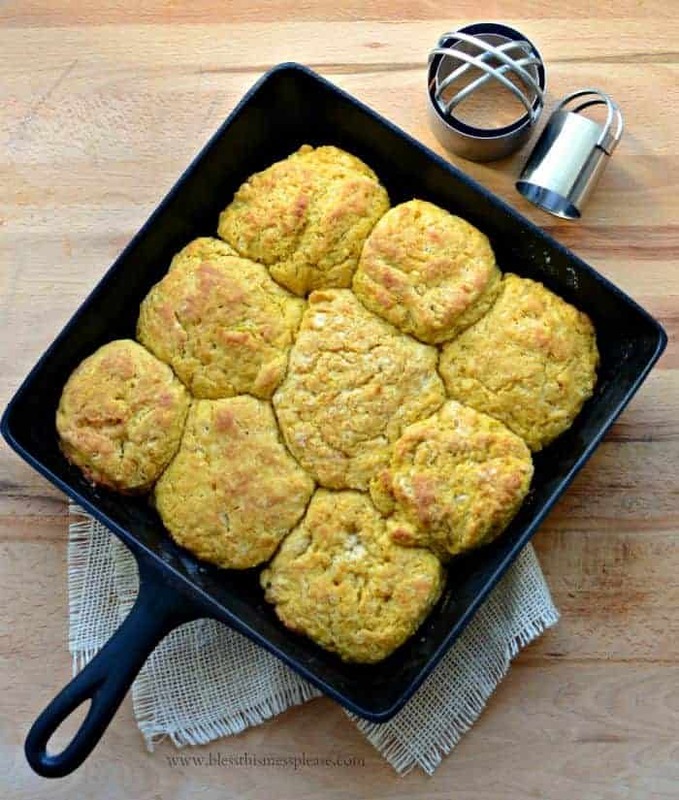 Now you really have no reason to skip out on making these pumpkin skillet biscuits. Preheat the oven to 400 degrees. 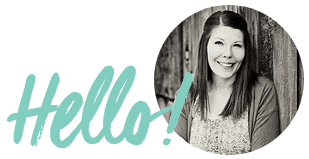 Place a cast iron skillet (8-9 inch) in the oven to preheat while you make the dough. In a medium mixing bowl add the flour, baking powder, and salt. Whisk to combine. Using a fork, pastry cutter, or your hands, work the butter into the flour mixture until the butter is the size of small peas. Chill the flour/butter mixture for 10 minutes. In a small bowl whisk together the buttermilk, pumpkin, and honey until well combined. Add the wet mixture to the flour mixture and stir until just combined. Place the dough on well floured surface and roll it to 3/4 an inch thick. Cut it into 7-9 biscuits (kind of depends on the size of your pan as well as your cutter), using a biscuit cutter or sharp knife. Remove the hot skillet from the oven. Add one tablespoon of melted butter to the bottom and then add your cut biscuits. Brush the remaining 2 tablespoons of melted butter over the top of the dough. Put the skillet back in the oven and bake until the top of the biscuits is a light golden brown, about 15 minutes. Remove from the oven and serve hot right out of the skillet with honey and more butter. Because BUTTER! If you don’t have a cast iron skillet you can place the cut biscuit dough on a baking mat lined baking sheet, brush with butter, and then bake like a traditional biscuit. The baking time may be a bit shorter though, around 12 minutes. 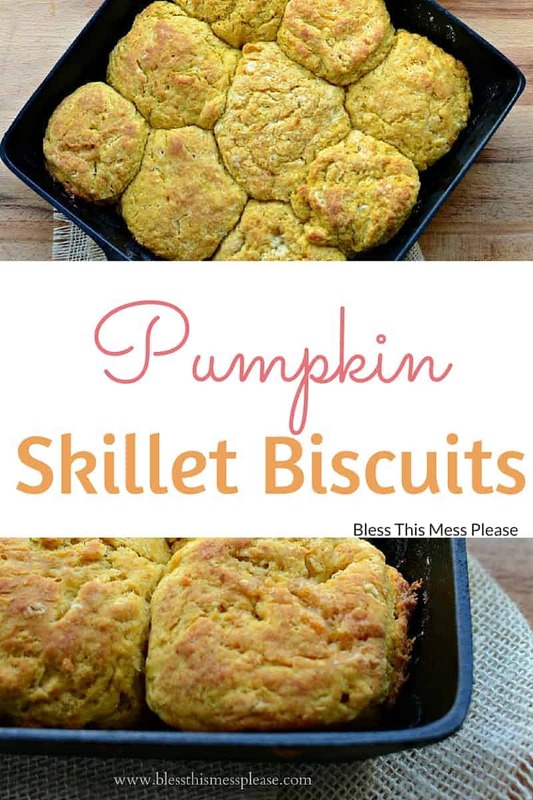 Aren’t those pumpkin skillet biscuits gorgeous? 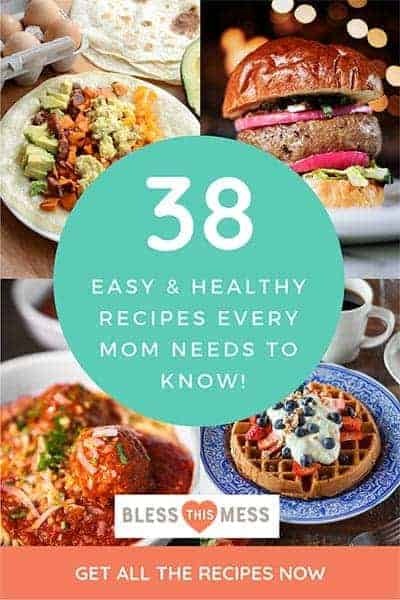 You can see all the pumpkin recipes I have posted here. Be warned, there are lots of desserts! Thank you so much for being here. You make my day brighter. Cracking me up! Thank you for the great comments! I’m so glad you liked them!